Browse : Home Online Marketing How important is blogging for your website? Online marketers strive hard each day to keep visitors glued to their websites. And for this, they do not keep any stones unturned. Right from investing heavily in various marketing strategies and campaigns to exploiting the power of the social media platforms to the fullest, hardly a day passes by when marketing strategies for attracting web traffic are not worked out. Regardless of the strategies that are worked out, an important strategy that from the very beginning proved to be effective is essentially blogging. In this article, let us find out why blogging is important and is an effective way to draw web traffic to your website. There are many online marketers out there that prefer to promote their blogs more than the internal pages of the website. The logic is simple. Even if people do not like to browse through the internal web pages, a blog if written in the appropriate manner has more visibility owing to the fact that it’s nature is so called “social media” friendly. If the blog is impressive, it is shared several times on different social media platforms. In this way, it has greater chances of visibility. 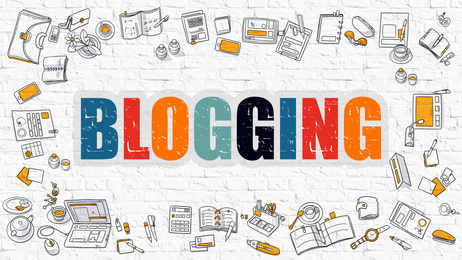 By blogging, you are able to connect with your prospective customers better. And if you can make your blog interesting, you will have a list of loyal readers that can eventually get converted into clients over a period of time. However, this is easier said than done. Undoubtedly, it will take a considerable period of time before you can understand the sentiments of your clients. And if you are able to strike the right chord with your audience, you can be assured that you will have a long list of loyal readers. When it comes to blogging, you will have to master your subject of interest. Most importantly, if you are dealing with a particular concept or topic/subject, make sure you furnish the correct details about the topic. Fresh content that is conceptually accurate, informative, and an ability to reach out or ‘tap’ the correct audience is what matters the most. Remember, there will be several, in fact, thousands of websites that will deal with the same topic as yours. So, it becomes even more important to stand out from the rest. Why will readers read your blog and not someone else? You need to hit the bull’s eye when it comes to the topic you are dealing with. When you are writing web pages, it is quite likely you will deal with a limited set of keywords, the ones that appear the most on so called ‘local’ as well as ‘global’ search. So, even if you want to emphasize on different keywords, it will not make sense as it will lack visibility. But when you have a blog for your website, you have the privilege to deal with unlimited keywords, which are bound to appear in the search engine results, when searched for. Blogging is one of the best ways to promote the services and products that your online business has to offer to your clients. By blogging, not only will your products and services get promoted but if you are able to optimize the right set of keywords, your blog is definitely going to get visibility. In a nut shell, even if you have to assign a budget higher than what you estimate for content marketing, blogging will surely help you to reap the benefits in the long run.